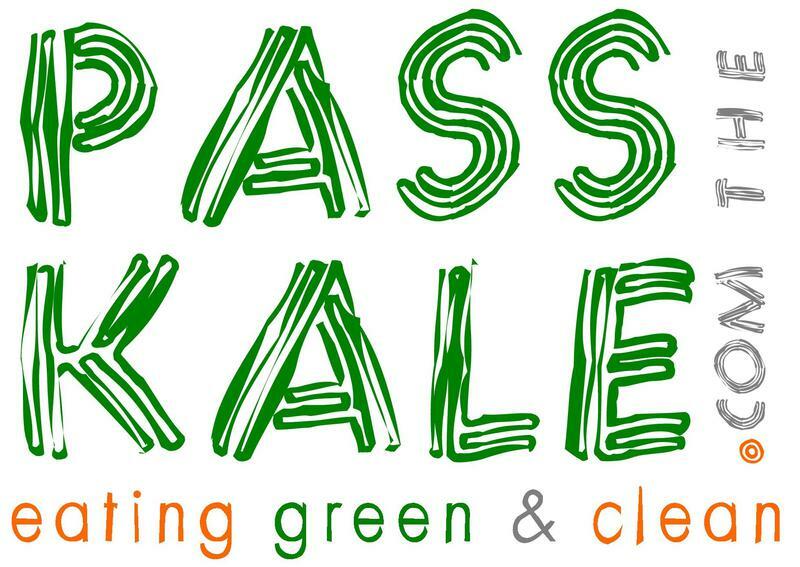 Why did Pass the Kale begin as a FREE class? Because people deserve access to resources. DIET is a leading risk factor of disease, but few traditional doctors treat preventable and reversible diseases such as heart disease, Type II diabetes and obesity with food. Why? Because healing sickness with food takes hours of patient education and doctors (and most patients) don't have time (or $) for this. Affordable and updated nutrition education services are in dire NEED, and we want to help. Our book/online portal is not about designing a new diet program. Rather, it compiles information from many sources, such as Dr. Joel Fuhrman, Dr. Neil Barnard, Dr. Caldwell Esselstyn, Dr. Alan Goldhamer, Dr. McDougall and more. 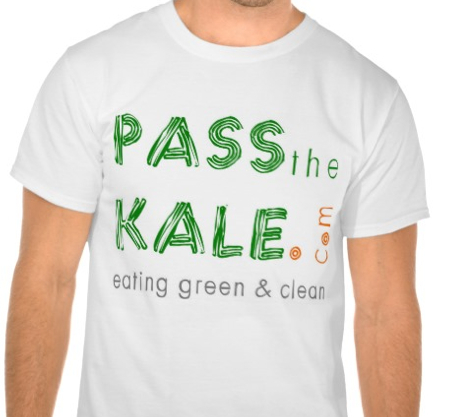 It serves to advance the "Nutritarian" lifestyle, as termed by Dr. Fuhrman, the author of "Eat to Live." Our resources outline the format author, Jodi Patterson, used to get her family (and many other people since) off of the SAD diet; which eventually got her father off of statins and her mother off of blood pressure medicine (while shedding 40 pounds of fat from her own body!). Drugs did not heal Jodi's dad, nor did multiple stents. However, within less than two years of right-eating (after being on drugs for over a decade), he became drug-free. How? 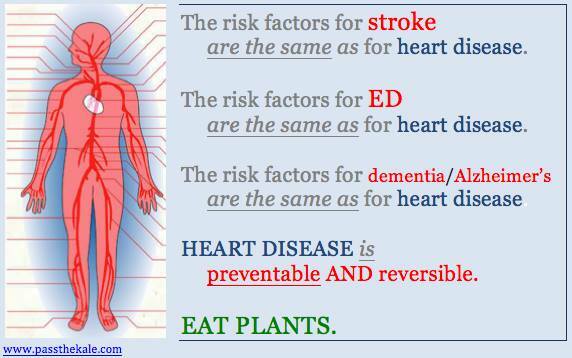 By eating foods that have powerful disease-protecting and therapeutic effects: plants. Calorie counting is a waste of time. Milk is not the best choice for calcium. Chicken is not "better" than beef. Food labels cannot be trusted. Once revealed, people come to understand how dangerous (or helpful) food can be. They realize a whole foods, plant based nutritarian diet is really a lifestyle based on abundance ... not deprivation! Curious? 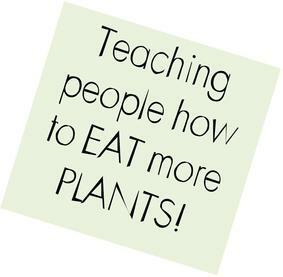 Ready to LEARN how to EAT PLANTS? We've outlined a FREE four-week online plan that STARTS HERE. 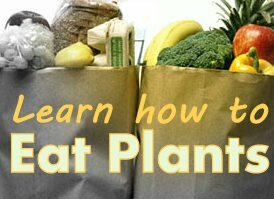 THIS PAGE outlines a variety of resources and ideals to help you begin your plant-based journey on your own. Our coach is available to walk through the four week plan with you via weekly Skype conferences. Or, if you are local to WA and MI, you can meet at a public place for exercise and/or conversation. 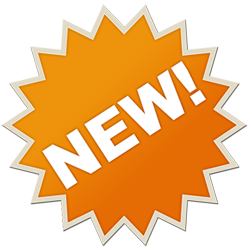 READ more about her qualifications and coaching packages available HERE! REGARDLESS of your method ... do not spend another day "contemplating" change. Take action NOW! There is no time to waste. Common diseases such as atherosclerosis, Type II Diabetes and obesity are preventable. The best part is, these diseases can also be reversible via diet … but healing likely won't happen if you maintain the same diet that made you sick! We know that it is hard for people to realize how "else" to eat, but there are sooooo many amazingly healthful and delicious foods to substitute bad-for-good … eating well is FUN … feeling well is MARVELOUS. Order "From the S.A.D. [Standard American Diet] to a W.F.P.B. [Whole-foods-plant-based] Lifestyle" NOW. you just enough information to get you started! and jot down thoughts without feeling guilty. watch, and give you things "TO DO." Either way, we just want you to START building new habits ASAP. Remember: the goal is not to learn a new "diet," rather, it is to form a new lifestyle/habits. This requires education AND action. YOU CAN DO IT! advance your overall health and wellness? Our workbook provides readers with things "To Do" each week to help them make lifestyle changes. It also houses recipes, shopping tips and behavior change strategies to set them up for success. Love and Peas is a delicious, vegan protein powder. It provides 75% of the Daily Value of 18 vitamins and minerals. It's also dairy-free, lactose-free and gluten-free. Two scoops yields a whopping 20 grams of delicious pea protein. 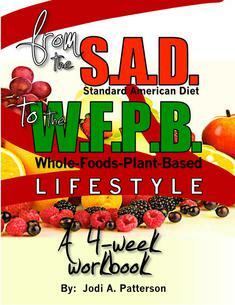 You've asked for it … Jodi Patterson's four-week workbook, titled, "From SAD to WFPB Lifestyle," is AVAILABLE NOW! The Standard American Diet (SAD) is the name for a stereotypical Western diet. It consists of foods high in salt, sugar, bad fats, cholesterol and processing … and low in nutrients, fiber and plants. A Whole-Foods-Plant- Based (WFPB) lifestyle is about getting the majority of ones calories from whole, unprocessed plant foods (an apple over apple juice or a potato over a bag of potato chips). Whole foods include fruits, vegetables, legumes, nuts, seeds and whole grains. PERSONALIZED signed copies are available with a PayPal payment or personal check. Signed copies cannot be returned, and go out once a month. 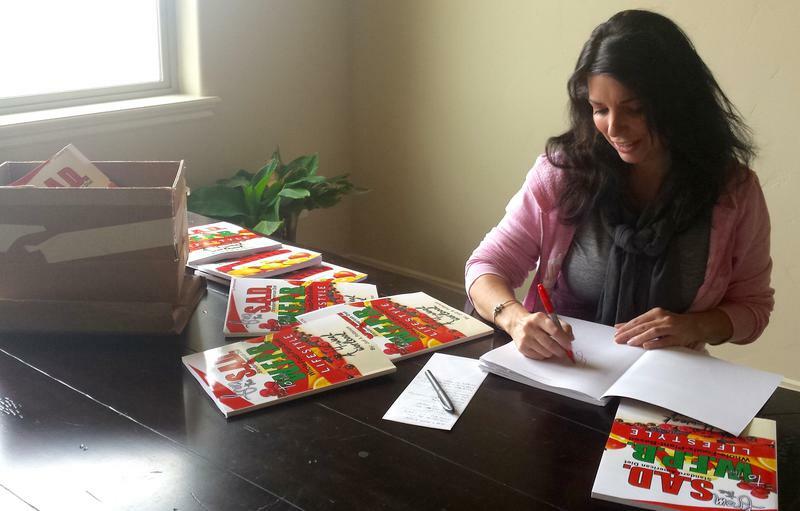 Author Jodi Patterson signing a monthly batch of books! 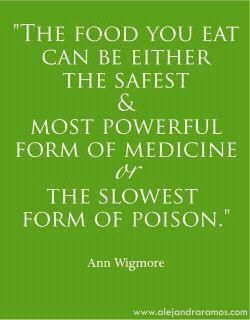 Eat plants and be well!